If you are an interfaith pagan interested in exploring Spiritualism, the season of Samhain and its association with the dead makes this a unique time to begin your journey. 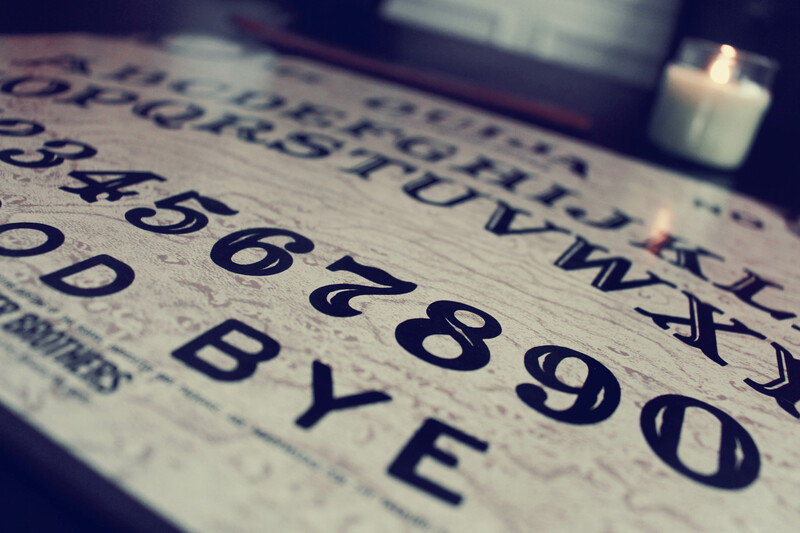 Spiritualism may be described most simply as the belief that spirits or ghosts of people who have “passed on” exist on a plane that is accessible to the living through certain methods of communication, including altered states of consciousness, spirit mediums and divination tools like the Ouiji board. The religion centered around these beliefs gained momentum in the 1840s and is still active today. Far from existing exclusively on the fringes of society, Spiritualism has had some high-profile believers, including Abraham Lincoln, whose wife held seances in the White House! Although spiritualists share things in common with the modern practice of ghost hunting, spiritualists are not to be confused with paranormal investigators, who sometimes, but not necessarily, identify as spiritualists. No, And though I certainly don’t take offense to the term “witch,” a spiritualist might. Most spiritualist do not consider communicating with the dead witchcraft, and they certainly don’t regard it is as evil or wrong, but a natural part of life experience. What is your experience with Spiritualism? My first experience at a spiritualist church was at the The Center for Spiritual Enlightenment in Falls Church, Virginia. I was curious at that time in my life about the afterlife and the possibility of communicating with the departed. Since then, Spiritualism has always been a peripheral spiritual interest of mine. Do you “buy it”? I mean really, do you? As with any religion or philosophy, I believe I approached Spiritualism with a healthy sense of skepticism. There is no way for me to know what another person’s spiritual experience is like. I don’t know if spiritualists are able to communicate with the dead or not. That’s the truth. But I do believe that they believe it. Contrary to the stereotype of fraudulent mediums prancing about in turbans, maliciously deceiving lost souls desperate to connect with their deceased loved ones, I’ve found most spiritualists to be honest people who earnestly insist they receive messages from the dead. Why are you always writing about religions you don’t practice?! What do you know about them? In my early 20s, I began to explore different walks of faith ranging from Buddhism to Haitian Voodoo to Hinduism to Christianity and Islam. Any one of these religions takes a lifetime of exploration and study to fully appreciate. I would not, nor have I ever, claimed to be an authority on anyone’s faith. What I can tell you is that I’ve never been turned away by any religious person I’ve expressed interest in learning from, I’ve never explored a faith that hasn’t taught me something, and I always encourage others to be open to wherever their spiritual path takes them. This sounds super interesting! What’s the best way to explore Spiritualism? Spiritualist churches exist all over the United States. To find one closest to you, check out this directory. This totally freaks me out! I don’t want anything to do with it! That’s fine, too. Communication with the dead is a sensitive subject for many people—although this sensitivity is a fairly recent Western aversion. Indigenous societies throughout the world have, and still continue, to believe in direct communication with the spirit world. Even if participating in seance is not your deal, I still encourage you to be open and tolerant of other religious views, especially if they are in conflict with your own. Your measure of tolerance is not about how you regard the people you agree with, it’s about how you regard the people you don’t agree with. This is wonderful. An open mind and heart can teach us so much! A great approach to exploring other spiritual paths. If all of us had this attitude our world would be a better place. Thanks!